While we are still miles and miles away from a world where our lives will completely revolved around robots and automation, we are surely advancing towards the Robot Revolution. However, some of us are having mixed feelings about the future of this revolution. Especially after a recent news about a toddler who got ran over by a security robot at Stanford Shopping Center, United States. You read it right! Seems that the drones from Psycho Pass are now a reality but don’t get too rejoice, its attacking people! Read more to find out! 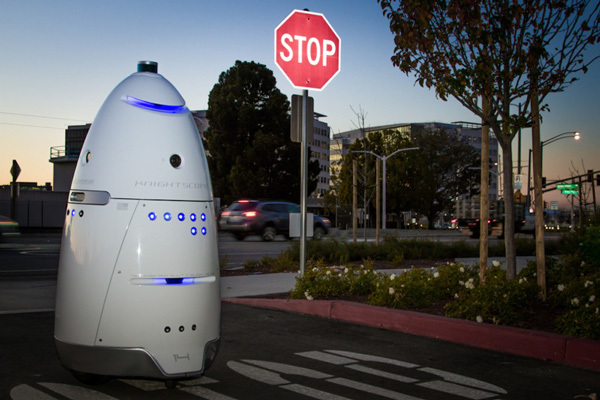 According to Gizmodo, a 300-pound security robot ran over the 16-month-old toddler, Harwin Cheng at Stanford Shopping Center last Monday. His parents stated that the robot knocked him down and ran over his right foot which resulted it to swell. According to Harwin’s mom, Ms Tiffany Teng, the robot did not stop after the accident and kept moving forward. They were clearly displeased with the situation and claimed that the autonomous machine is dangerous. Not only that, the shoppers find it unsettling on why the robot didn’t seem to detect the toddler. 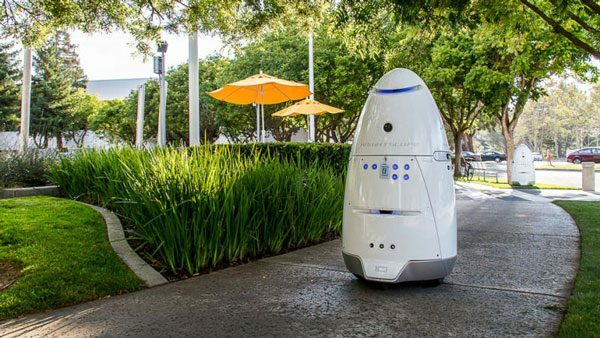 The security robot was developed by Knightscope and brought to the shopping center last year to alert the authorities on any abnormal noises, detect crime and known criminals. 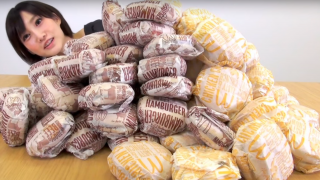 If robots are going to become part of our daily lives in the future to come, robot’s creators have to think deeper about how to prevent and handle this kind of situation. Public are also thinking twice about having robots and automation transforming our world as eventually, machines will take over our manual jobs. So, are we really ready for the Robot Revolution? 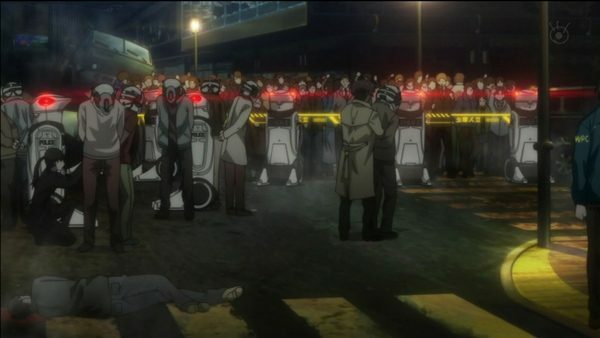 Can we truly live in a world like the cyberpunk anime, Psycho Pass where drones and technologies played a huge role in the society? 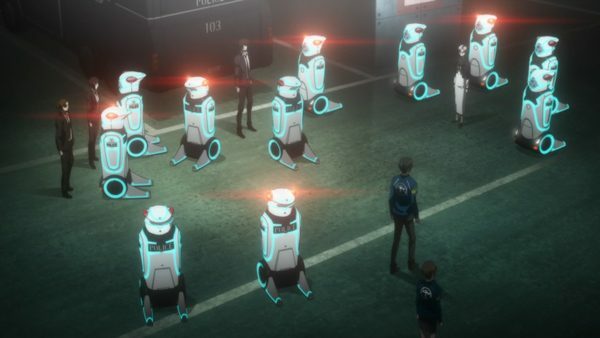 In Psycho Pass, the 21st century Japan uses the Sibyl System to manage crimes and uses drones in daily activities as a tool for variety of jobs. In the anime, we can see various technologies like the drones used for constructing, hunting and for security uses. Machines are truly seen as a convenience and a help in their daily lives. Hopefully, in the future, we can see our machines and robots advancing towards that aspect which will be truly remarkable. While, these machines are convenient, Psycho Pass explores on how humans have become too dependent on it which led us to lose our thinking minds. Our minds are the only thing that differentiates us from other living creatures. Through the anime, we can learn that technologies can be a double edged sword. However, in the end, its up to us how we uses robots and automation in the Robot Revolution. As accidents are bound to happen with new piece of any technology, hopefully this recent robot accident will open a discussion between the public and robots creators on how to tackle and prevent such situations from occurring again. 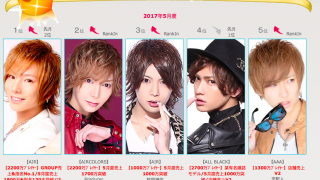 NextCat Massage – Only in Japan!